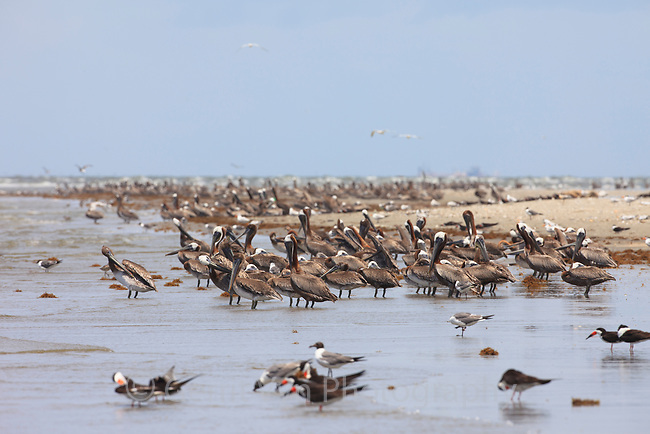 Huge flocks of Brown Pelicans (Pelecanus occidentalis) loafing on the western remnant of Raccoon Island. Terrebonne Parish, Louisiana. July 2010.